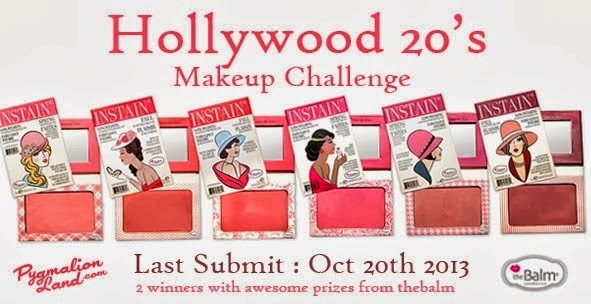 This one is hosted by PygmalionLand and sponsored by the Balm. 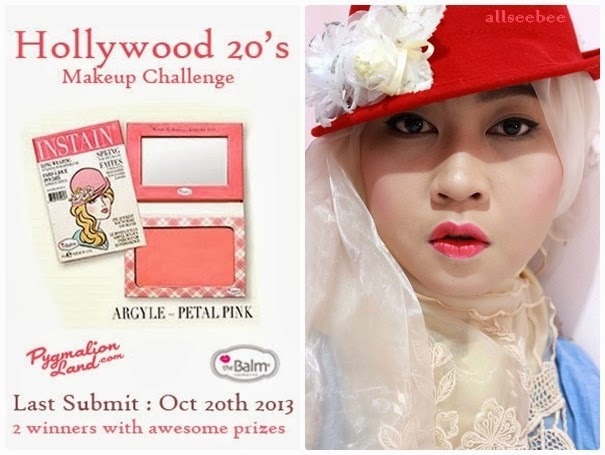 For this challenge we have to create a look from the Instain blush cover. I didn't use many eye product for this look just eyeliner, mascara and since I (again) made my face skin tone really white, I used my every day compact powder to gave a little bit color to my eye lids. I also gave a slightly nose shading with the same compact powder color that i used on my eye lids. For eyebrows, I created natural full looking eyebrows. Here are the cheek and lip detail. For cheek, i really put a lot of blusher so it look obviously there on my cheek. For the lip, i combined three different lipstick shades to get this color. suka warna lipstiknya..nice combination - merah tp ga medok juga seger..#kayakstroberi hihihihi..
follow me bac at http://bandarkrupux.blogspot.com/ yah..
Cantiknya... suka deh sama hasilnya... Good luck! suka kombinasi warna bibir dan topinya ;) Good luck! Salam kenal kak dari kami..